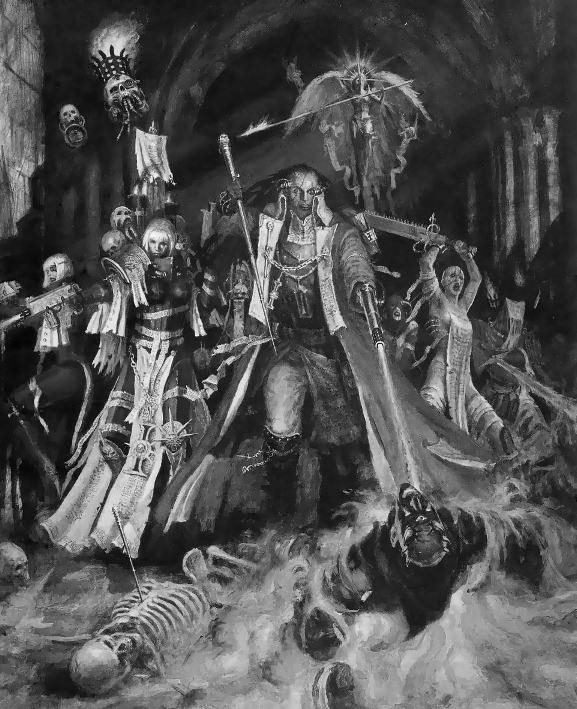 Time for the final Inquisitorial Cruiser, this time from the Ordo Hereticus those inquisitors charged with hunting down the mutants and witches of the Imperium. Once again a stock Imperial Cruiser with some additions. 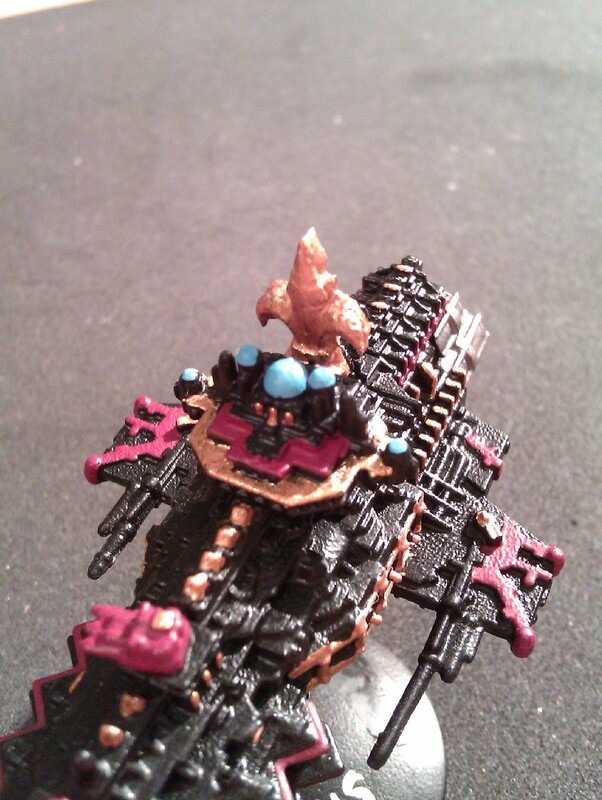 I decided to draw on more of a Sisters of Battle vibe for this Cruiser, firstly to give it a little differentiation from the other two, but also to tie into my 40k Sisters of Battle army. 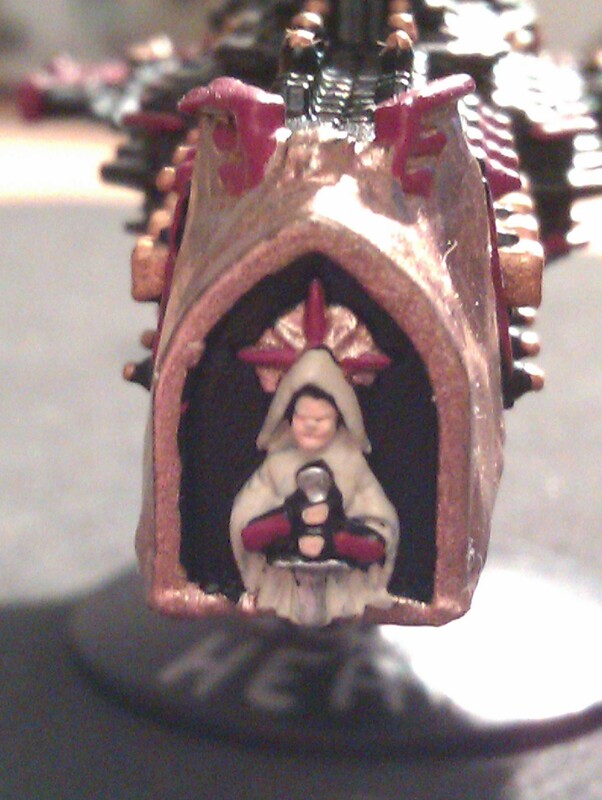 The paint job was therefore done in the ‘classic’ Sisters of Battle colours, black, dark red, and gold. 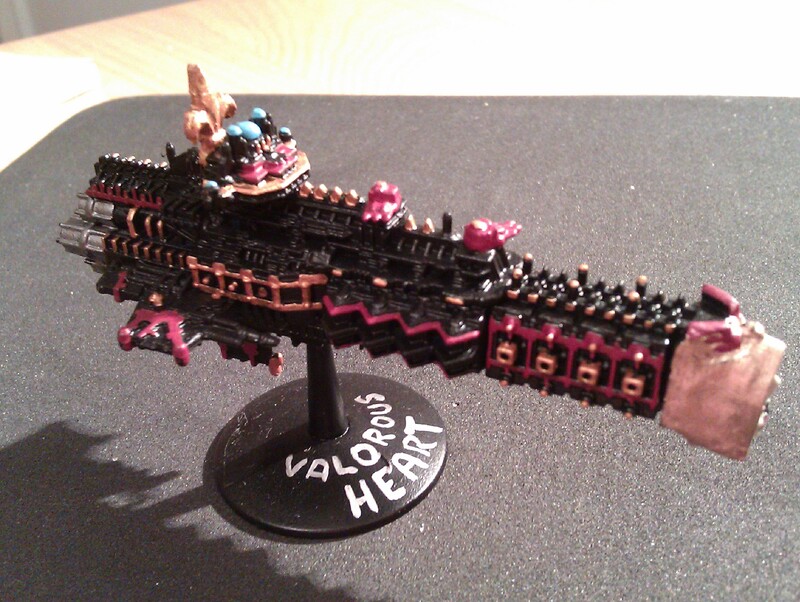 I used another of the Forge World 40k resin icons on this ship, just like with the Ordo Malleus cruiser, and placed it behind the bridge once again. The Fluer de Lys is a pretty established Sisters of Battle symbol so it fitted quite well. Unfortunately the ship had suffered some damage to its prow before I bought it and I was quite stuck with what to do with it. Luckily I found a vaguely appropriate and appropriately sized 40k Icon piece in my bitzbox. Shaving the prow off flat gave me a surface to fix it too, only needing some greenstuff to meld the two together. It isn’t great, but given how mangled it was before I think it has come out fine. At least it will be nice and imposing then the Inquisitor rams with it! 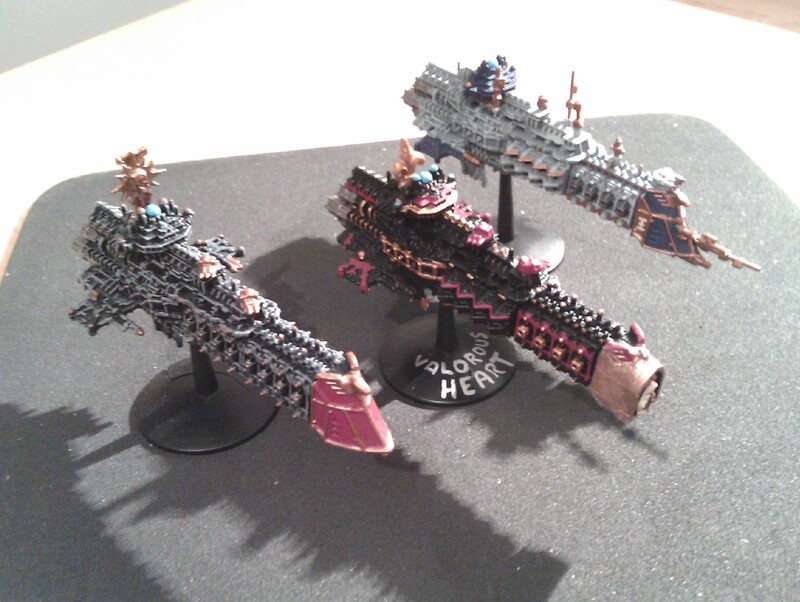 Finally have a picture of all three of the Inquisitorial Cruisers together – Malleus, Hereticus, and Xenos. All souped up Imperial cruisers with enough to set them apart from regualr ships without breaking the theme. At nigh on 400pts each they are very (over) pricey, but make nice scenario or campaign pieces.